One of the prime difficulties of making a living in the ever-changing world of the Internet is that rules are constantly changing. It’s inevitable that as soon as you figure out how to play the game, and you may even begin to get your footing and think things are going to be okay, that’s when the rules change. These can take you back to square one. We strive to reach out to one another, share experiences and common interests, and bring people together. Some of us have dedicated our time and talents to this, and are trying to make a living out of it. But how many times have your favorite YouTubers been challenged with demonetization, deleted content or outright bans? The same can happen to you, your blog and your affiliate links. How does CJ Affiliate Perform as an Amazon Affiliate alternative? Once, not long ago, the Amazon Associate program was the jewel of linked content providers. Driving in enough sales brought you 10% commissions, and this was the goal we all strove for when starting to make money blogging. This is not to say that Amazon did anything “wrong”. They simply adjusted their strategy to fit the changing market. This is something that you and I should be doing as well. The alteration to the affiliate program doesn’t mean you need to shift your expertise. However, it is a good opportunity to take a hard look at your affiliation. And maybe it’s time to branch out and diversify your market saturation. Don’t change your specialty, change your affiliate program. If you are making a pros and cons list, Amazon Associates has many checks in the “pro” column. They are well-known, growing into a behemoth, are commonly trusted, and highly convenient. However, their “con” column isn’t empty. Their cookies are only good for 24 hours. This means much of those tentative “I’ll check it out tomorrow” sales are lost to you. They also have strict “Terms of Service” conditions that any minor infraction could see your income cut or outright banned. Amazon is a great fit for many affiliates. However, if you are in a situation where your income was affected by the dramatic affiliate changes or any other reasons, there are alternatives you should check out. This is one of the more popular options. Rakuten offers its own commission baselines, but it can be an attractive alternative if you are in the non-tech market. A baseline of 3.5 % to 5.5% with high sales numbers gives you the incentive to boost your sales and grab that higher commission. That’s one of the key elements the flat rate did away with. Driving in more sales rewards you with a higher payment percentage. Rakuten offers a suite of tools to help build a successful sales relationship. Their automated link generator does the work for you and the Bookmarklet allows the building of deep links without the hassle of delving in deep yourself. Rakuten also caters to the comparison sites with a data feed that specializes in organizing enormous databases. Another advantage is the ad rotation. Your visitors will not have to be subjected to the same lure with every click. If you didn’t grab their attention with this product, maybe that next rotation will. However, like many affiliate sites, the electronics market suffers from a low base rate. A 0.5% to 1% scale is hardly better than the Amazon Alternate, so Rakuten is a great choice for those price comparison shopping sites. However, if your niche is electronics, it’s becoming more and more difficult to find a quality affiliate program with a high commission rate. With its user-friendly interface, rotating ads, and the ease of deep-linking, Rakuten is a great alternative to the Amazon model. ClickBank is going to be an excellent alternative to the Amazon Associate program if you are promoting digital information or software. Signing up for ClickBank is surprisingly easy and the program is easy to use. If you are looking to link with e-books, improvement courses, the educational community or any of the other thousands of online courses, ClickBank is the place to go. 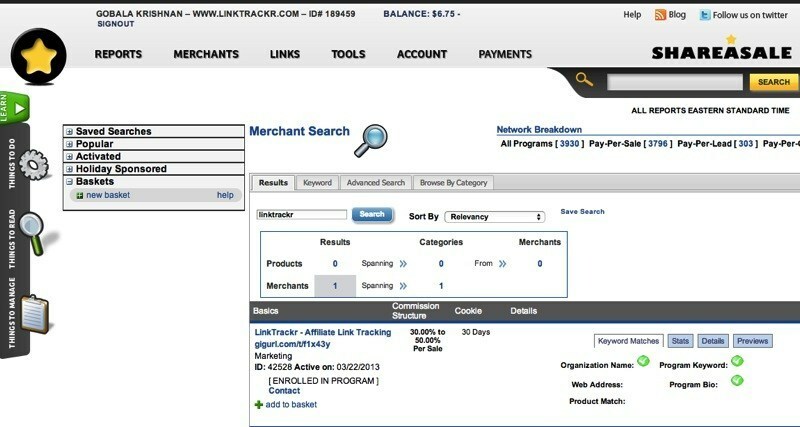 The commission rates on ClickBank are directly related to the vendors. However, the spread goes up into the 75% range. Depending on what products sell and the vendors you choose to link with, ClickBank can be an amazing alternate affiliate market. The wide choice in products and high commission rates are a fantastic alternative to the restrictions and lower fees offered by the Amazon Associates. Being one of the oldest affiliate markets, ClickBank has gone through some changes over the years. This learning curve is always in motion. As such, an experienced market like ClickBank has corrected some of its earlier faltering ways. They have stepped up their game on the interface dashboard and addressed their reviewing process. This ensures a higher quality product line. The world is rapidly moving to an online life and much of our documentation will be electronic. Leveraging your ClickBank exposure to a market that craves information will be exceptionally simple. With product lines running the gamut from gamer guides to business investing, arts and crafts to world travel, you have the entire wealth of human knowledge available to you and your marketing. Trading in information and e-books, there is no better affiliate program available than ClickBank. ShareASale has a large inventory of vendors to choose from. They include samplings from both the online e-markets and physical goods. This allows you to diversify your links among the differing vendors as your needs dictate. You won’t suffer the seasonal ebb and flow in your commissions. This is because the consumer market fluctuates between more physical items it certain times of the year. Their page currently boasts of more than 3900 merchants available. Additionally, the categories are well curated to make searching for a proper fit between your content and an appropriate merchant an easy task. A good match between content and linked merchant is one of the keys to generating higher sales. This easily accessible data will enable you to peruse the available deals and make the choices that will drive your commissions up. Knowing what you want, what you need and how to achieve a higher income is paramount in the affiliate program game. ShareASale gives you the information you need to focus your links where they will do the most good and support your commission rates. Commission rates vary between vendors, but knowing how to maximize the effectiveness of your links will save you the trial and error process and give you the leg up on getting those higher commission rates. When you use the Walmart Affiliate program, you are working with a brand name everyone knows. If you are searching for an alternative to the Amazon Associate program, you may be looking for a program that offers similar features, with brand recognition. The Walmart Affiliate program grants you these. While not as large or market penetrating as Amazon, Walmart is a fierce contender in the large name game. They have been working on promotion of their online store offerings and generating movement in the “shop from home” game. And this will only benefit you and your affiliate links when your content links them to a known brand with a trusted presence and existing online shipping platform. Finding what products to link should be an easy process as it’s almost easier to list what Walmart doesn’t sell versus what they do sell. As an affiliate marketer, the focus will most likely be in the categories of games, toys, electronics, and computers. Walmart Affiliates solves the very real problem of Amazon lowering its commission cap in these are below 4%. Linking televisions at Amazon will net you 2%, popular video game consoles will put you at 1%. Walmart Affiliates base commission is 4% on many categories and its main draw is the “toy” category. Lower in some, higher in others, Walmart’s 4% beats the Amazon Associates 3% in toys. Some select markets within Walmart’s commission schedule boosting to 10% and even 18%. Another benefit to Walmart over Amazon is the cookie life. Amazon cookies are good for 24 hours. Walmart cookies are good for three days. Again, how much of an improvement is required for a substantial change is warranted? That all depends on your needs. So if your area of expertise is in home improvement, or home and garden, you’re probably staying at Amazon for the 8%. But for toys and all those other massive markets that were capped below the 4% level, the Walmart Affiliate program is an alluring alternative to keeping your revenue stream from shrinking. The monster in the room is CJ Affiliate, formerly known as Commission Junction. Searching for an alternative to the Amazon Associate market is easy when you come to CJ Affiliate. They are well known and well-diversified in the affiliate scene. CJ Affiliate is a great platform for those looking to expand their links or leave the Amazon program entirely. CJ Affiliate is another large network of major brands and known products. Getting into the CJ Affiliate system is not without vetting. But, once you are accepted into the system, the open world of affiliate marketing never looked better. This system of ensuring quality publishers are promoting quality products strengthens the brand. It also keeps the network full of top earners and those working to earn more. As the trends change, you can optimize your content to fit the new data set and keep your sales numbers up. By their own account, CJ Affiliate claims to outperform other affiliate markets in orders per customer and average order value. This, in turn, leads to a greater than 50% increase in annual customer revenue. They are also one of the largest affiliate markets working on cookieless tracking. As our computer life evolves, the technology we exploit changes as well. We currently track our referrals through cookies and they expire as set by the individual vendors. But when the world comes to find ways around the cookie, because of their latest experiments, CJ Affiliate will already be on the next level, protecting your sales. Brand recognition is important in referrals, sales, and commissions. CJ Affiliate has some of the top brands available to you the publisher. No longer working hard to find interesting ways to hawk mediocre products, you can breeze through promoting top quality gear from top brands. While searching for quality affiliate alternatives, you will come across many great brands that offer high commission rates. The list goes on and on; all of them available through CJ Affiliate. The changing market is always going to provide challenges to the online entrepreneur. The Amazon Associate changes created a large impact for affiliate marketers but it was not the first and almost certainly won’t be the last. Keeping abreast of the market is the best way to ensure your hard work results in top pay. The time has come for diversifying your links and drilling down to specialize in genre-specific advertisers for your specific niche. Your general practitioner doctor is a nice enough guy or gal but when you find yourself with a very specific problem, you seek out a specialist. The Amazon Associates affiliate program was a sufficient enough system, but the rules of the game have changed. We now find it more prudent to seek out alternatives to Amazon for our affiliate marketing needs. Find what works for your audience. Find the affiliate that fits you best. Make the new changes to our internet culture work for you. Stay informed of the possibilities and optimize your content to the best possible fit. There are alternative outlets beyond the large names in the game.